Celebrate the holiday with some vintage style! Just a few pieces are an easy add for a festive holiday table! Mix in these fantastic Red, White, and Blue vintage treasures and you’ll have one jazzy picnic! And don’t forget to add in an artgoodies cherry pie towel, or sailboat towel– which by the way make fab hostess gifts, just in case your headed to someone’s cottage this summer! 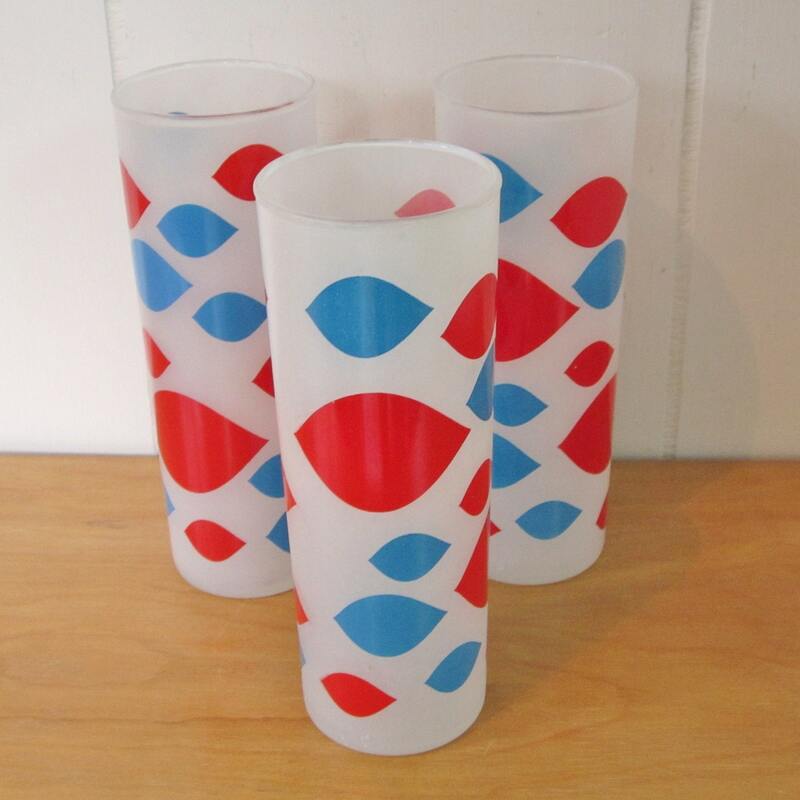 Fantastic vintage Dairy Queen glasses! Perfect for the 4th and 2 sets of 3 available! 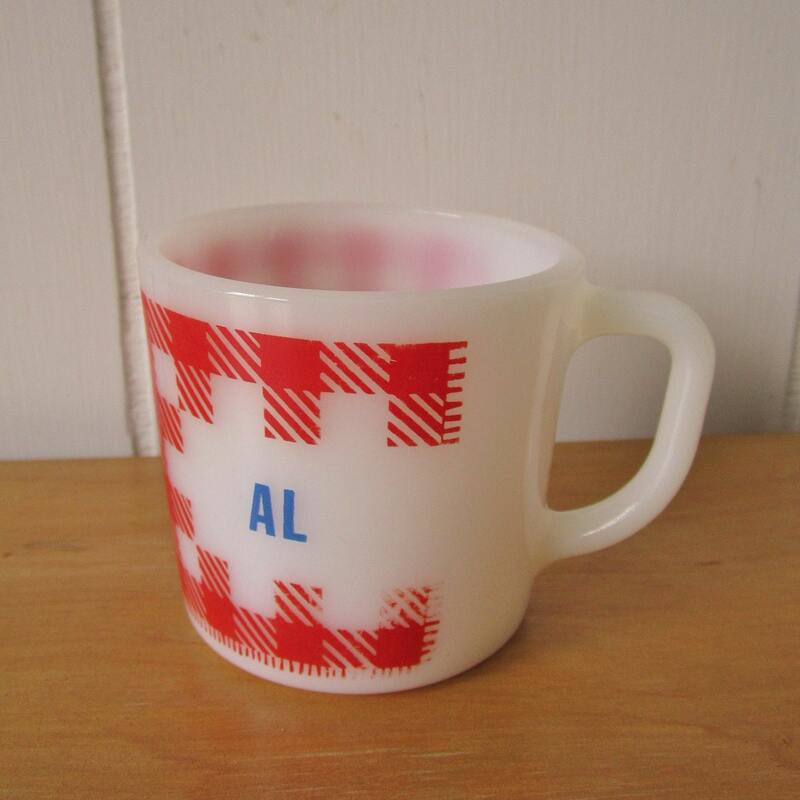 Perfect for AL, or for getting Paul Simon's You Can Call Me Al stuck in your head. Picnic time! 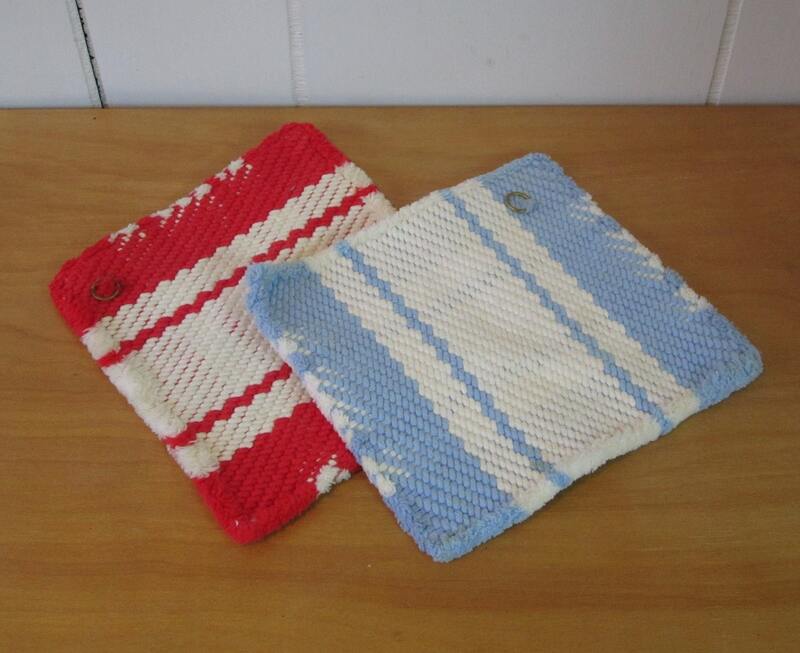 These vintage potholders will keep your hands safe while your serving all your fave hot dishes! 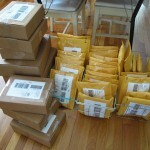 Well, it has been pretty busy over here at artgoodies lately! 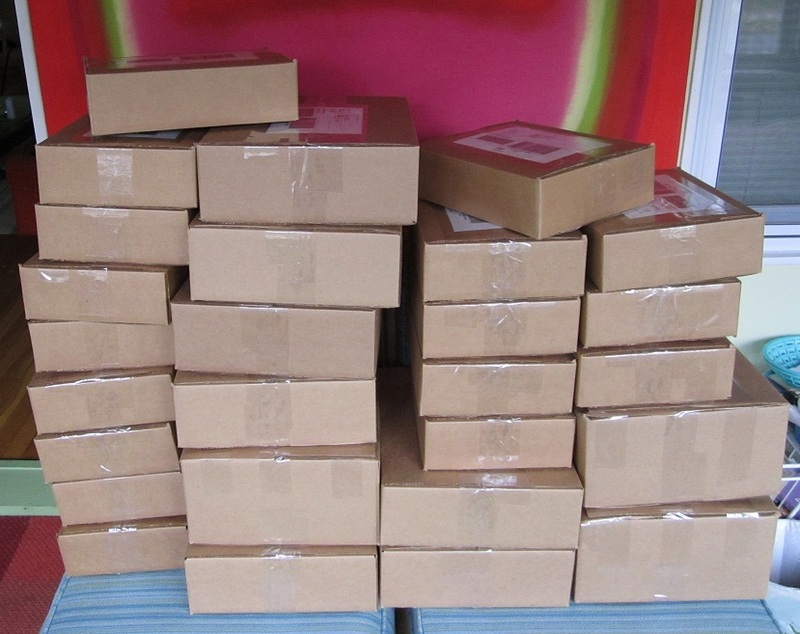 Shipping out tons of orders from the Joss & Main event. 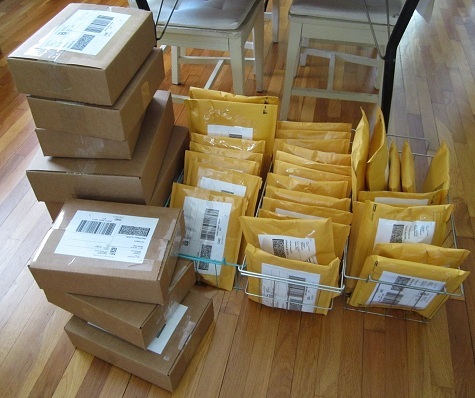 Making, shipping, making, shipping, rinse and repeat. 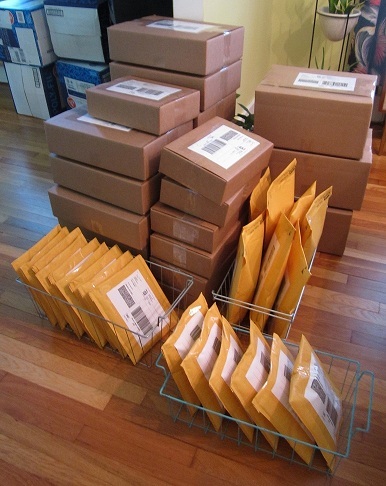 It’s exciting to get a boom in business! Stay tuned for our next event July 1st! Clam Bake, featuring artgoodies sailboat and lobster products! Check it out! 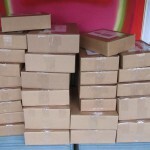 The artgoodies event at Joss & Main is on! 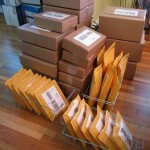 Go there NOW, items are selling fast! Some are SOLD OUT already and it just started! The sale is on for 3 days in all so get shoppin! Color of the Month- PINK! Color of the Month 2012! PINK! A dash of super cute cottage chic for you this month! 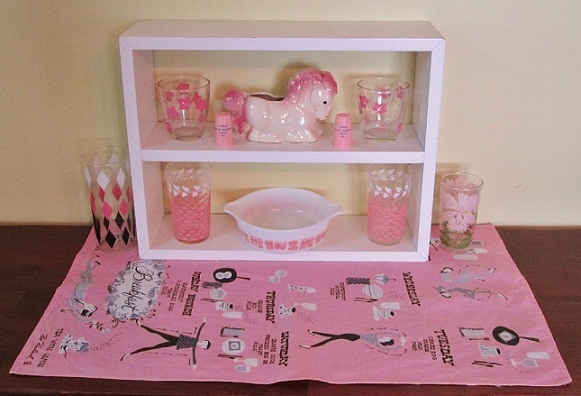 Check out those pink ivy sour cream glasses, pink pony planter, vintage gas station shakers, great glassware, and my fave the kitschy breakfast/excercise tea towel! 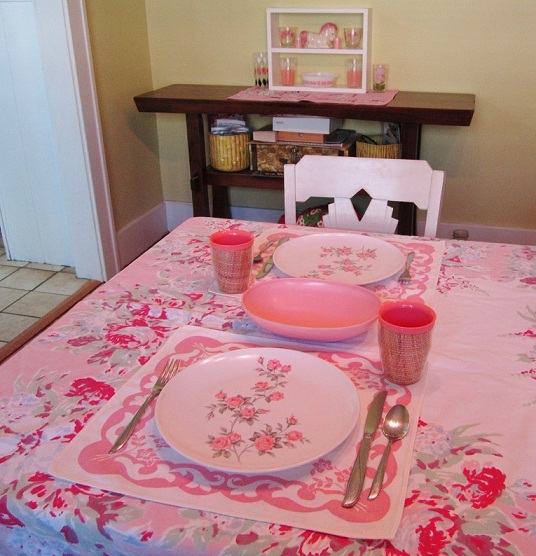 Pretty pink rose melmac plates sit atop some super cute vintage napkins and tablecloth! The usual vintage twin star silverware made the cut. Paired with raffiaware cups and a melmac serving bowl this table setting is ready for a lovely meal!